How much does flash drive recovery cost? Now let’s look at a hard drive case. What’s this? 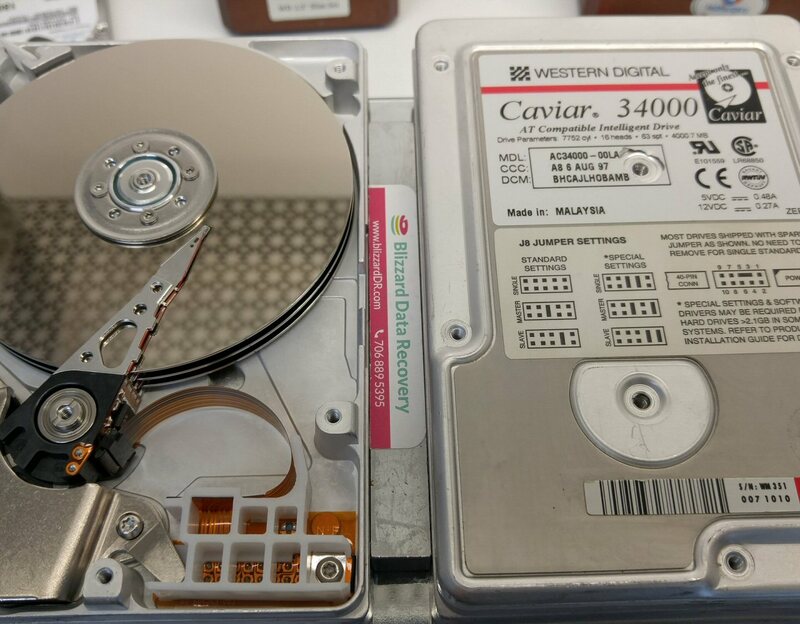 4000.7MB Western Digital Caviar model AC34000-00LA. Yes, you are reading that correctly, it’s 4GB and it’s distributed across 3 platters. It’s not a good idea to be running your business on a 20 year old hard drive with no backup, but we saved the day this time. Now lets go check our backups, who is with me? What? You don’t have a backup? Now is a good time to buy one, what are you waiting for?